The largest of the three communities that make up the Tri-City area, Coquitlam offers good leisure facilities, from a new wave pool to a nine-hole golf course. 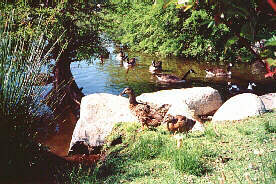 Coquitlam also has close to 70 parks and is only 30 minutes from downtown Vancouver. While in the area, be sure to visit the following BC Adventure Network members. Located in northeast Coquitlam, this park features acres of park space, the Addington Marsh and operating farmlands with many walking trails and picnic sites. 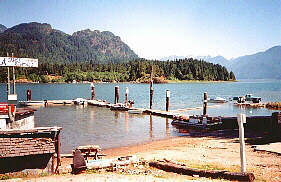 Situated along the banks of the Fraser and Pitt Rivers, Port Coquitlam offers good boating, fishing, swimming, ice-skating, golfing and hiking opportunities. This 28 km (18 mile) scenic pathway along the banks of the Pitt and Coquitlam Rivers is good for walking, hiking or cycling. This scenic hiking trail leads through a wooded area from Hyde Creek Centre to the pump house on Cedar Drive. Port Moody is situated around the Port Moody arm of Burrard Inlet and offers activities from hiking to boating and fishing. It was at Port Moody that on July 4th 1886, , at what was the western terminus of the CPR. See how fine wine is made and taste the results.